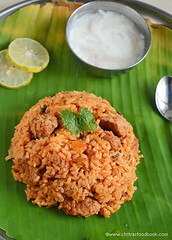 As Onam is nearing , I see lot of posts featuring Kerala onam recipes in blogosphere. After trying the andhra lunch thali successfully , I wanted to try a simple and Easy Kerala lunch menu keeping onam festival in mind..When I was thinking about it, my neighbour showed me “Vanitha” magazine which was flooded with onam special recipes of “Pazhayidam Mohanan namboothiri”.There were many ideas for onam sadya dishes including payasam. As the recipes were given by a chef , I tried everything confidently. My neighbour Mrs.Prema read all the recipes and translated everything patiently.Thanks a ton to her . .Among those recipes, I picked some easy to make, simple dishes and prepared it..I reduced the given quantity as per my need and tried them.So i have mentioned the quantity what i used.We had a great onam lunch. Now after having my preparation, i really want to taste the authentic onam sadya in kerala..Wish I could get a chance When u want to prepare onam special dishes , the choices are endless. My neighbour told they serve nearly 60 side dishes..Wow..! !.I started drooling .. I wanted to fill the banana leaf but i couldn’t.I should have kept Pazham , pappadam and nendhran chips which are the highlight in their menu..I was not able to do it. As this is my first Onam sadya post, I am not aware of the serving order. So I kept the dishes as I wished.Please excuse me .I dint prepare Avial as we used to make it regularly .U can see the recipe here..I wanted to try popular dishes which are new to me.They were really awesome in taste.. We loved it. Coconut oil and coconut are used as the main ingredients in their food..Even then the food was easily digestible .Yesterday my kitchen was filled with nice aroma of coconut oil ..I have bookmarked some more recipes from that book. I’ll try everything and post it soon..
Coming to the recipes ,let me start with the sweet dishes ..
Its very simple to make ..The taste was excellent.. My hubby who doesn’t like this payasam loved it a lot.. It can be served hot or cold. For variations, u can add badam powder at the end to give a kheer taste.. In a wide mouthed Kadai , add half tbsp of ghee and roast the vermicelli till it turns golden brown with a nice aroma. In a pressure cooker base , take the milk and water . Let it boil till it reduces to half in quantity..
Open the lid and add the sugar. Mix well. Add more milk if its too thick.Check for taste and add more sugar if required. Finally add the cardamom powder.. Boil for sometime. In a small kadai , take the remaining ghee and roast the cashews and dry grapes. Add on top of the payasam and garnish !! Cardamom powder is optional. It is not given in the actual recipe but i used it. U can add saffron threads soaked in warm milk which gives a nice color too..
My neighbour adds instant badam mix at the end which also tastes the best.. This payasam should be watery in consistency. Usually the pulp of tender coconut should be grinded coarsely along with its water and prepared. But i just cut the pulp into small pieces as given in the book . I also added jaggery instead of sugar as mentioned in the book. But please add very less jaggery as we are adding condensed milk , honey and coconut milk at the end. Take the jaggery and melt to make a syrup by adding water just to cover it. Strain and remove the impurities.After it starts to boil ,add the pulp of tender coconut ( I cut into bite sized pieces.. U can also use by grinding it coarsely).. U can even cook the pulp separately and add to jaggery. Let it boil for sometime. In the mean time , grind the grated coconut with water to extract the first milk.Set aside. Similarly take the second and third milk. Now add the third milk to the boiling jaggery mixture. After a few secs , add the second milk. Give a boil. Switch off the flame and add the first thick coconut milk. Mix well and allow it to cool down completely. Finally add the condensed milk and honey..Mix well and enjoy.. The color of this payasam varies according to the jaggery color. Mine was white in color as my jaggery was light yellow in color.. Always add jaggery in lesser quantity. If sweet is less , u can add more syrup later. Condensed milk and honey should be added after the mixture cools down completely. Its a simple stir fry which can be made in minutes yet tastes delicious..
Cut all the veggies uniformly of small square shaped pieces. Cook yam in pressure cooker.cook plantain and carrot together. Make sure everything is not over cooked and mushy. Now in a kadai , take the coconut oil and add the mustard seeds , cut chillies and few curry leaves. Add the veggies finally and toss well by adding the required salt. Pressure cook toor dal for one whistle by keeping high flame. The dals gets half cooked. Grate the cabbage and cut carrot into small pieces. In a kadai, heat the coconut oil and temper with mustard seeds and urad dal. Then add the onion pieces. Saute well and add the ginger pieces , green chilly and curry leaves. Now add the cut vegetables , toor dal and mix well. 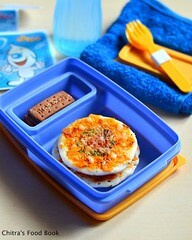 Sprinkle little water and cover cook for sometime. Run the grated coconut once in mixie and add it at the end. Mix well and serve hot !! Salt & water – as needed..
Soak tamarind in warm water for take the extract. Add chilli powder , jaggery and give a boil till it reduces to half in quantity. In a kadai , add coconut oil and temper the items given above.. Finally add everything to the tamarind mixture and allow it to roll boil . **In the mean time , dry roast methi seeds and powder it. 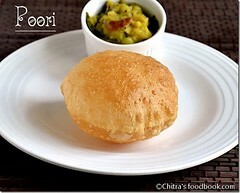 Serve with dal rice / curd rice.. ! Puli inji is a spicy accompaniment. A tsp of it is sufficient for a plate of meals..It also aids digestion..Make sure this puli inji is in ur menu if u plan to make kerala food..
Kaalan tasted similar to mor kuzhambu..We mixed it in plain rice and enjoyed .. In a pressure cooker , add the yam pieces , pepper powder , green chilly pieces and a tsp of ghee..Cook well. After opening the cooker , add the whipped curd , turmeric powder and salt.Let it boil.. In the mean time, grind the items under “ to grind” to make a paste by adding little water. When the mixture reduces to half , add the ground paste ..Boil well. Temper the mentioned items and mix to kaalan. Switch off the flame and add the methi powder finally . It would be in the consistency of kootu / aviyal..
Its a simple and tasty accompaniment for dal rice..
Now in a kadai , temper all the items given above. Grind the coconut & green chillies to make a paste. In a bowl , take the ground coconut paste , tempered items , squeezed ash gourd pieces and the required salt. Mix well .. add the fresh , thich curd just before serving . Enjoy with paruppu sadam ..
Its a semi dry , rice accompaniment which has lots of coconut.Adding more coconut gives a nice flavour for this dish .. Please note I have put grated coconut twice here.Use accordingly..
Chop & cook the yam and banana pieces separately. Heat oil in a a kadai and shallow fry the cooked vegetables. Grind the items given above with little water to make a paste. After shallow frying the veggies , add the ground paste followed by chilli, pepper and turmeric powders. Mix well and allow it to boil sometime. In a kadai , heat coconut oil and temper with urad dal, jeera , curry leaves and grated coconut. Roast them well and add it to the boiling mixture. mix well and switch off the flame..Enjoy ! Pressure cook dal and potato . set aside.. Reserve the dal water for making rasam.. In a kadai , heat coconut oil and saute the lady’s finger and drum stick pieces. Add all the powders.Saute quickly without burning. Immediately add tamarind extract, Cover and cook well. After the veggies are cooked add the cooked dal and boil well for few mins. 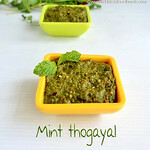 Finally temper the items and add the methi powder. switch off the flame.. 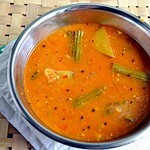 In the serving bowl , place a banana leaf and pour the sambar. Close for sometime and then serve. This is the additional tip given in the book.. In a kadai , dry roast dhania and pepper corns & powder them. 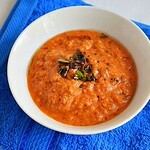 Take the tamarind extract , chilli powder , 1 tomato ( crushed) , jeera , hing and methi seeds along with little water. Boil everything till it reduces to half. Then add the dal water , remaining 1 tomato(finely chopped) , rasam powder and the required salt.Boil for few mins. Remove and temper with mustard seeds and pinched red chillies. Roast dal till raw smell emanates. Pressure cook the roasted dal with water , turmeric powder and a pinched red chilly.. Grind the coconut,chilli and jeera to make a paste. Mix it to the cooked dal and boil till it thickens. Remove and temper with the above items. 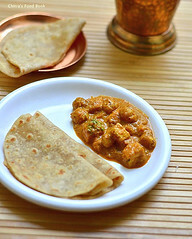 Please click on the picture to see the recipe for avial.. 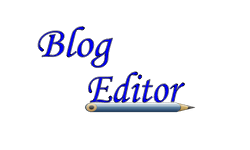 HAPPY ONAM TO ALL MY BLOGGERS AND FRIENDS. DO TRY THESE RECIPES AND HAVE A GREAT CELEBRATION !! You made making ONAM SADHYA RECIPES– KERALA THALI seem so simple! 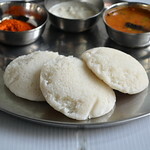 Would you join us in our food community www.mycookbook.com and let us know how you worked on the ONAM SADHYA RECIPES– KERALA THALI perfectly ? wow so wonderful thali..looks awesome and delicious lunch..
Omg, wat a feast, am hungry..Kuods to you for serving virtually these wonderful dishes together to us. What an awesome spread. All dishes are yum, but I loved the tender coconut payasam. Wishing you Happy Onam in Advance. Wow! Fabulous..Great treat. Thanks for sharing. Looks so good to see all in one place...yummy spread! Wow delicious spread,makes me hungry. That is making me so hungry all over again. Glad it is well past my meal time and I have enough will power not to raid the fridge. So many delicious recipes! Thanks for your virtual treat..this Awesome..
oh wow...that is one mouthwatering spread!! !Great job on presenting onam sadya so neatly & with well explained recipes!! Wow.... superb and yummy spread...wish i could be there...great job...sadhya looks wonderful. Great effort in preparing kerala thali. All are looks delicious. WOW-hats off to you!! It would probably take me 4 days to make all that :)Love,love,love it!! Happy Onam Chitra! Your Onasadhya Thali looks amazing - so colorful and vibrant! I was lucky to be in Chennai on Onam and went to this lovely Kerala restaurant for an Onam special meal. It was wonderful!! The best part was 4 different bowls of payasam at the end of the meal - rice, dal, jackfruit and i think jaggery! Yummmm! I tried all the recipes. So easy and so tasty. Thank you. Whoa! That is quite a spread! Everything looks bright and appealing on that beautiful banana leaf! 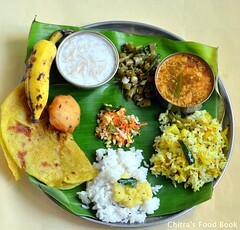 Hi chitra nice onam feast. I'd love to try some of it. I cant believe dis.ur awesum..so many recipes vth a single hand....n presenting too.great..each n every recipe is very healthy n luks yumm too. but in kerala even in sambar they put coconut varthu arachitu(fried and made paste).